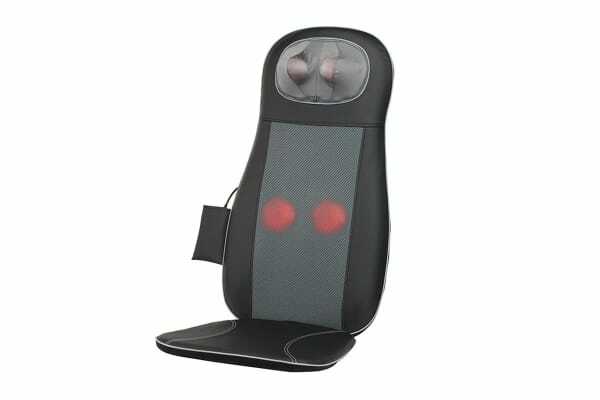 Sink into utter relaxation with a reinvigorating Shiatsu massage thanks to this ultra deluxe massage seat, featuring 4 adjustable deep-kneading nodes to help tailor your massage to your muscle needs. Easily fits most chairs – use at home or in the office! 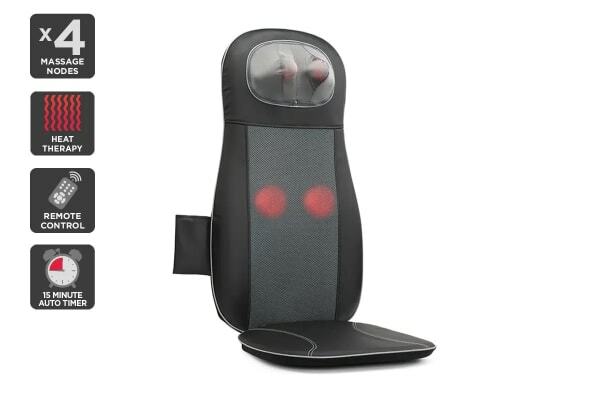 Enjoy a deep kneading and rolling neck and back massage with the Kogan Deluxe Heated Massage Seat Cushion, helping to alleviate muscle tension and soreness whilst helping to improve blood circulation. 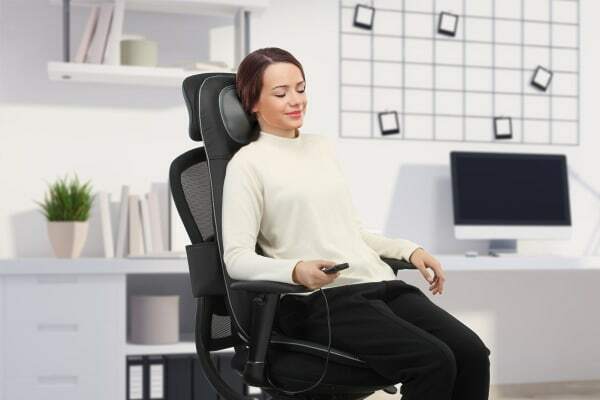 Just place it on the back of your lounge or office chair and sink into massage bliss. Give your muscles a little extra love with the heated warmth and vibration functions. Heat therapy and whole body vibration has been shown to increase the flow of oxygen to the muscles, helping to relieve discomfort and soreness caused by sedentary sitting or tough workouts.